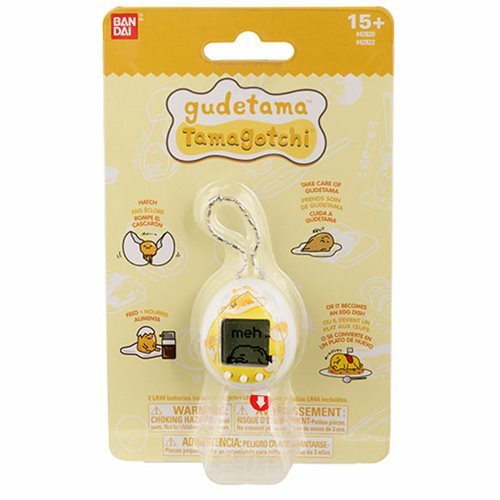 It's Gudetama inside a tamago, and the tamago is Tamagotchi! 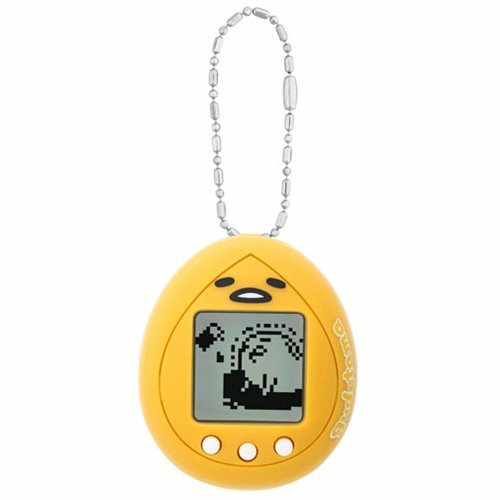 Everyone's favorite lazy egg can now be nurtured in a Tamagotchi environment! 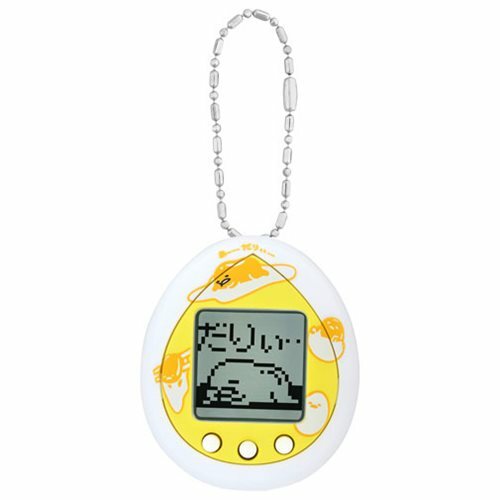 Create a new way to play with Sanrio's popular lazy egg. 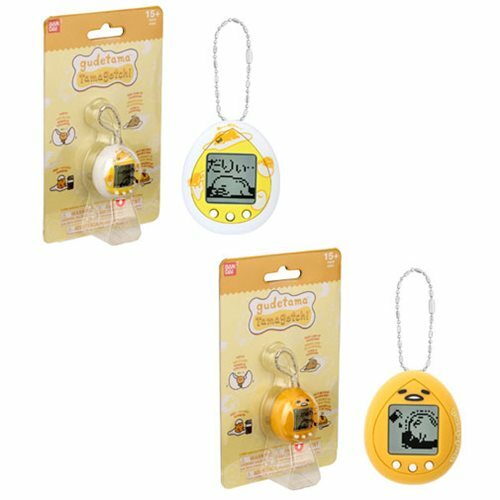 Gudetama hatches, turns into a baby, then an adult. If you neglect Gudetama, it turns into a dish. Gudetama has multiple modes: sleep with its bacon blanket, eats, and plays. There are 2 different styles to choose from, so collect them all! 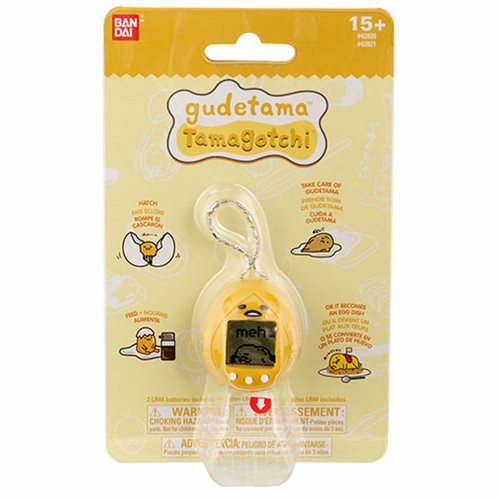 1x Gudetama Yellow. Ages 14 and up.